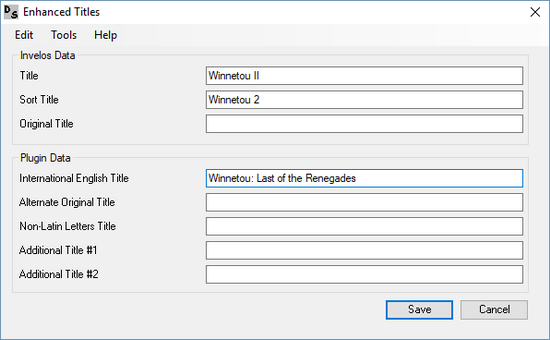 I’ve written some tools for myself that are helping me in the usage of DVD Profiler. These tools are of the “roughly carved” kind and have no fancy user interface and they do exactly that what they were written for (and nothing more). However, maybe there’s someone out there that has also use for them. The source code is included and everyone who is able to write C# is allowed to modify it. If there are any questions to these tools, then you are welcome to ask them in this forum. If you like these tools and want to show your appreciation then the easiest ways is the following: Add the following links to your bookmark and favourites list and visit Amazon using them. They are marked with my associate ID and I’ll get a dime when you purchase something. Or you can donate via Paypal. Adding Time is intended to sum up run times of TV show episodes. One enters the time as hours:minutes:seconds or as minutes:seconds. Because it’s simpler to do this via the number pad, the following separators are allowed: “:”, “.” and “,”. To sum up several discs you move the result of one disc to the right side and in the end you can sum up the entire season. You can also read the data from the disc itself if you have the appropriate drive. When you order something with Amazon it’s sometimes hard to find the complete article number so that you can enter the purchase in DVD Profiler. This program converts the ASIN (Amazon Standard Item Number) or the Amazon Link into the EAN/UPC. You can find the ASIN of every Amazon article in the product details. Alternatively you can paste the URL from the clipboard directly. 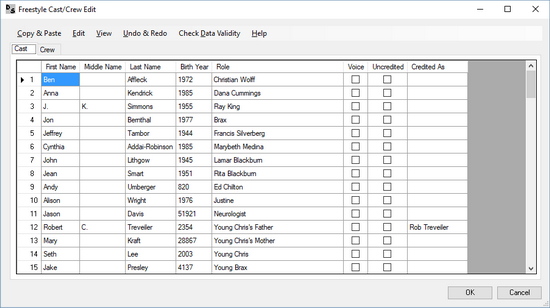 from IMDb to use the cast, character and crew information in DVD Profiler. DVD Profiler online database is forbidden by Invelos. 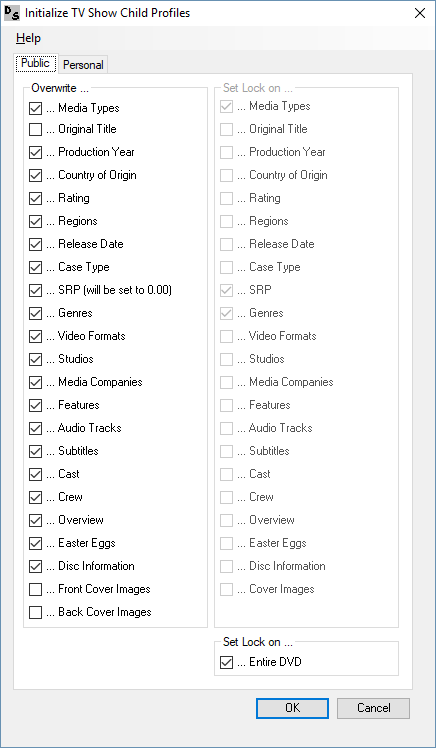 “Freestyle Cast/Crew Edit” is an editor to have an easier and more comfortable way to enter cast and crew data into DVD Profiler. “DVD Inventory” is a small program that allows you to stock-take your DVD Collection, preferably with a barcode scanner, if you have one. 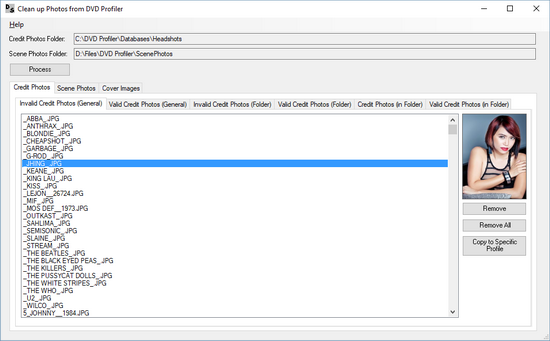 “Clean Up Photos from DVD Profiler” is a tool that will show you unused files in your folders CreditPhotos, ScenePhotos and (optionally) cover images. 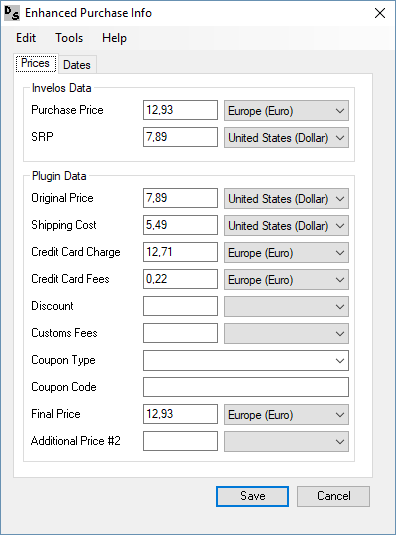 This program takes the exported XML and transforms the data into an Access database. There you can perform more complex queries (e.g. 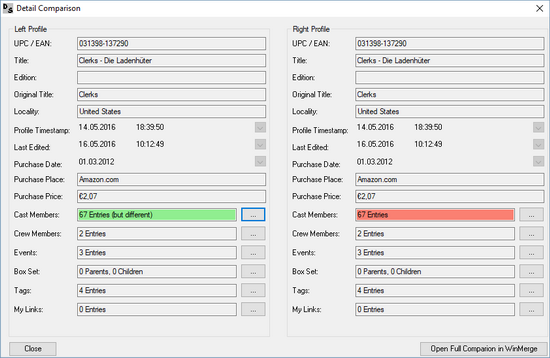 Pivot Tables) than with DVD Profiler. This tool will allow you to find possible double dips in your collection. This program scans the exported XML for possible name duplicates, e.g. when only the birth year is different or when only the parsing is different (Helena//Bonham Carter vs. Helena/Bonham/Carter). 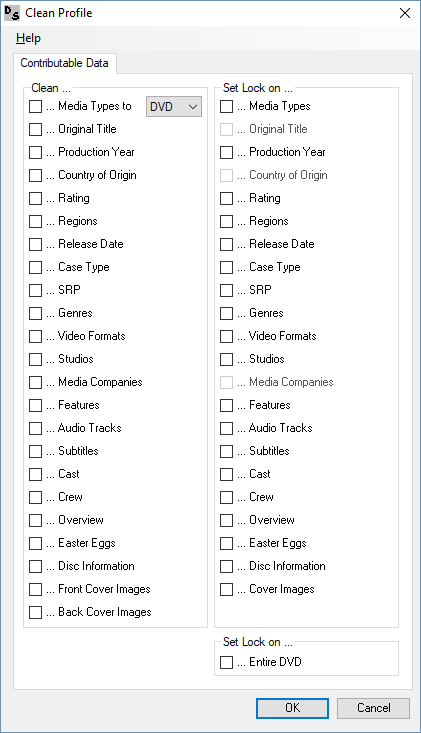 A Plugin for DVD Profiler, to fill the child profiles of a TV show season with the data (CoO, regions, genres, studios, …) of that box set. 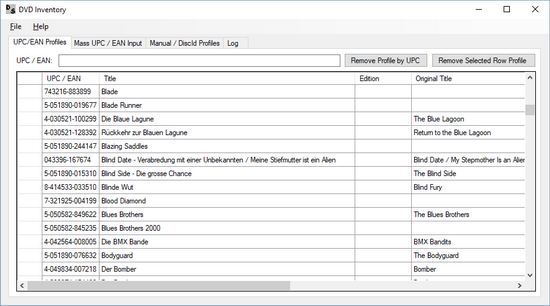 A plugin for DVD Profiler, which empties the selected fields (e.g. studios, cast, crew) of a given profile. 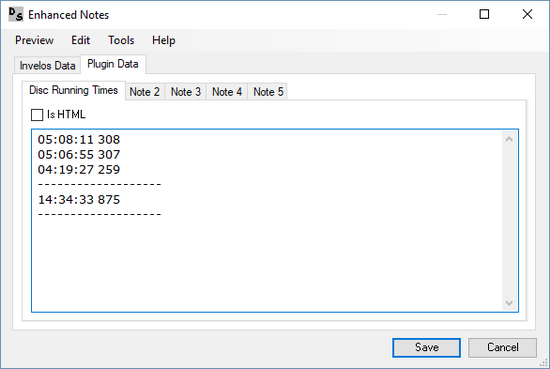 A plugin for DVD Profiler which allows the user to use five more note fields per profile – even as HTML note. 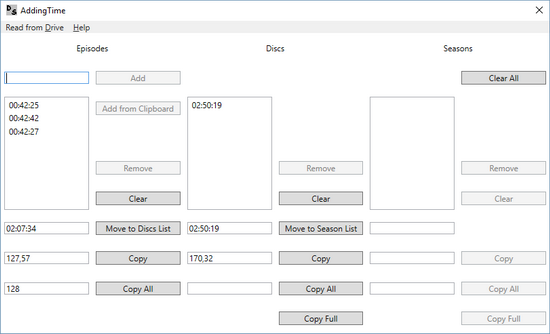 Also you can export the DVD Profiler standard and the enhanced purchase information directly to Excel – for selected or all profiles in your database. 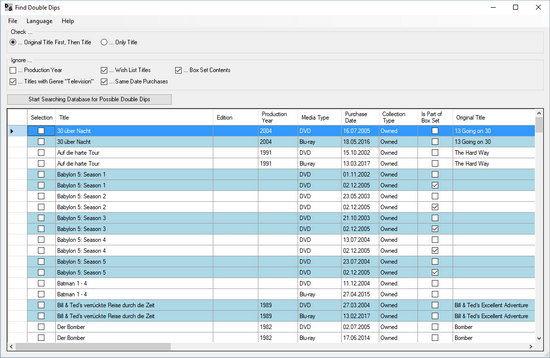 A plugin for DVD Profiler which allows the user to add information about the digital download option. 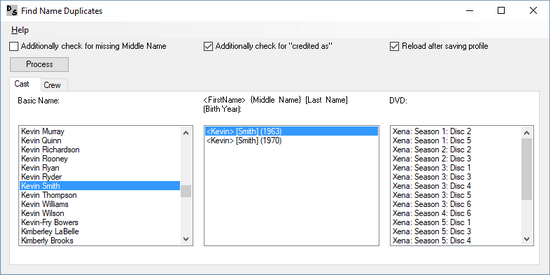 A program for DVD Profiler which uses the XML export to create a change history of a profile. 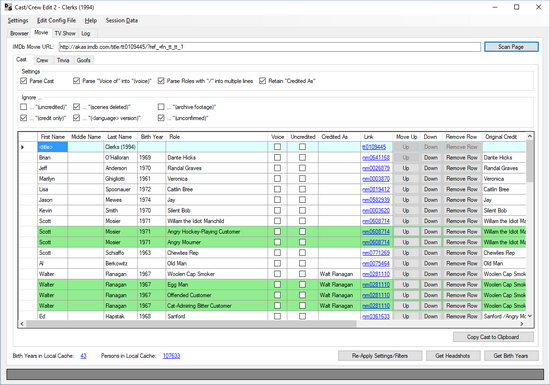 An additional tool that can be used independently or in combination with DVD Profiler. It allows you to track your watch progress on a episode-based level. 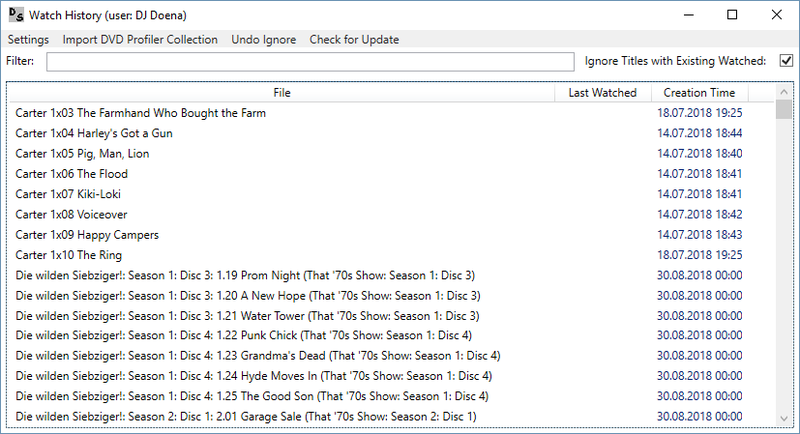 You can scan your hard drive for video files or import your DVD Profiler collection to mark the episodes as watched. Video files on your computer can be played directly from the tool. 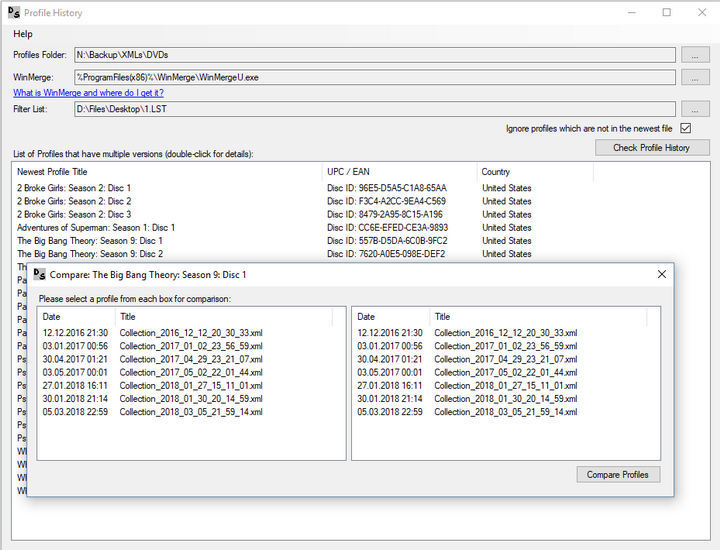 Collection of classes that can help you (de)serialize any of DVD Profiler’s XMLs, including sample code.